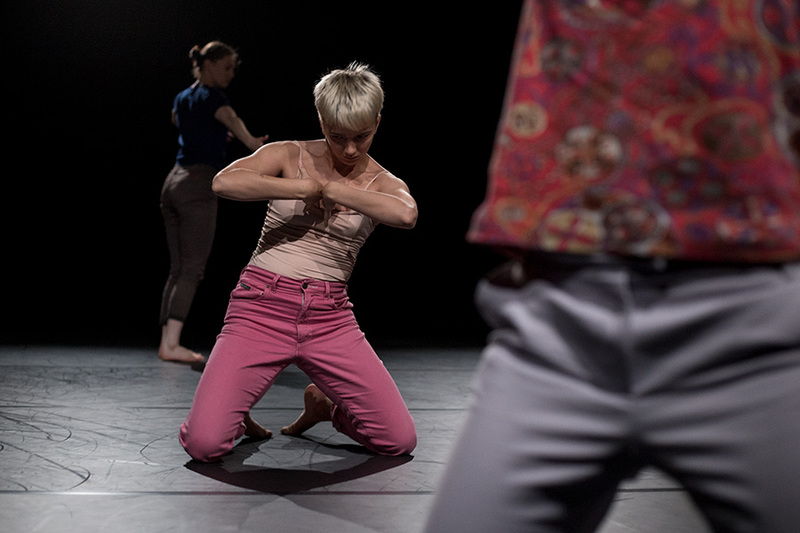 The solution is temporary is a contemporary dance and physical theatre work which uses text portraying a personal story as well as every day matters, moments and memories of a young adult. The work uses two pieces of Spoken word poetry written by Doc Luben and Patrick Rouche. It is divided into scenes that occur and create stories within the story. The direct referral to the text in this episodical work allows for the two stories to intertwine and creates personal and revealing moments in relation to weightily subjects such as death, alcoholism and sexual orientation, as well as to every day moments and thoughts which pass us by constantly. Premiere: 19th August 2017, Smålands musik och teater Jönköping, Sweden.